noun - wild and noisy disorder or confusion; uproar. 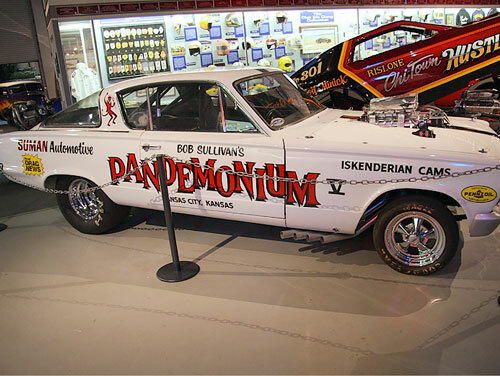 Bob and Shirley Sullivan's virtually stock all steel 1965 Barracuda Funny Car that blazed a winning trail from coast to coast! Weighing in at 3,700 lbs. with direct drive, no transmission, and a Blown Chrysler 392 C.I. 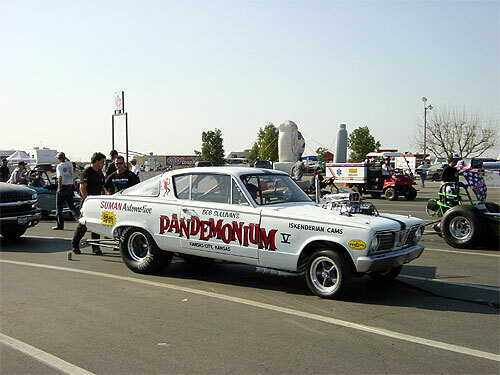 100% Nitro Hemi, Pandemonium V achieved 160 mph and 9.78 e.t. in 1965. 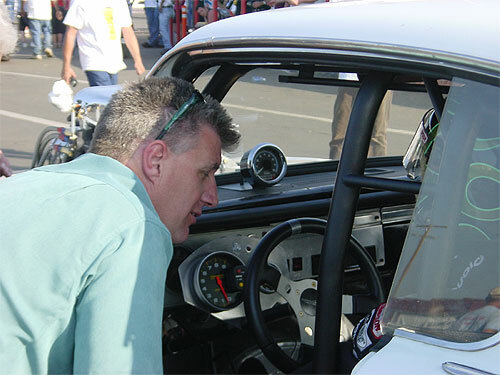 Bob Sullivan was the first to use a nitromethane top fuel motor in a street car and show up at a NHRA event. 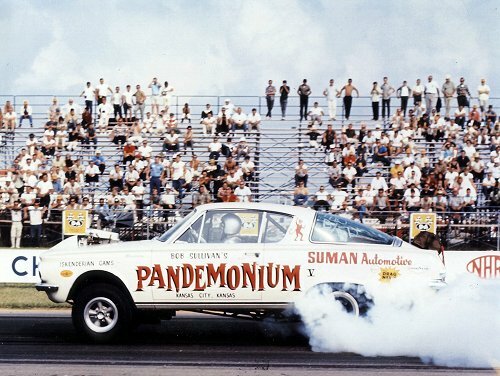 The NHRA had no idea what to do with Pandemonium and threw up their hands! 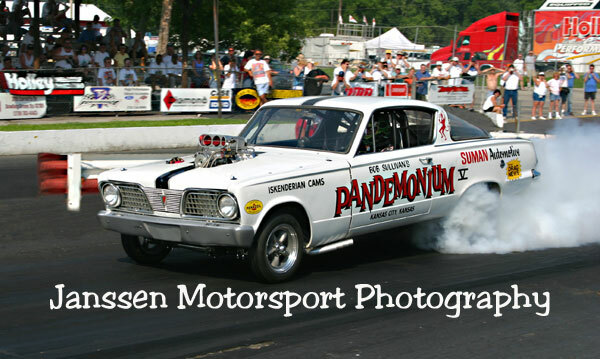 Pandemonium V is now owned by Greg Sullivan, Flagler Beach, Florida. The ultimate "in your face ride!" The dictionary says pandemonium is... "any place or scene of wild disorder, noise or confusion." The writer of this definition must have been at the NHRA US Nationals in 1965 when Bob and Shirley Sullivan unloaded their steel-bodied Barracuda "Funny Car". 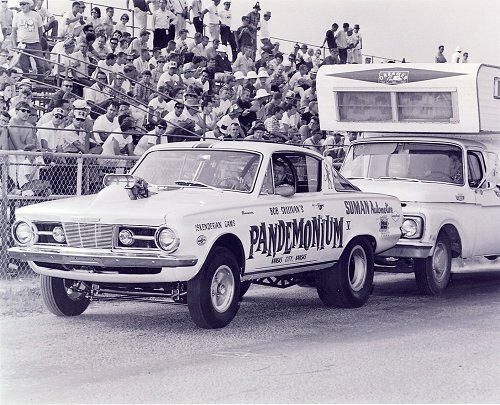 The early 1960's were the "golden years" for factory-supported drag racing stock cars. 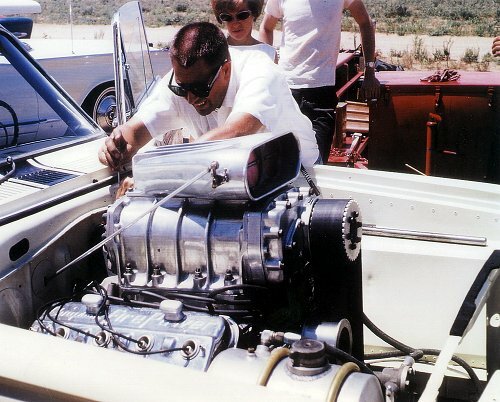 From these early efforts with 348 and 409 Chevys, 413 Plymouths, and 406 Fords, the competition spawned evermore radical cars from Detroit's big three - aluminum bodied Catalinas and Fords, Chrysler Hemis, and Ford sohc 427s and then the altered wheelbase A/FX cards. But the ultimate "in your face ride", was this 3,700 lb steel-bodied car that could smoke the tires for the full quarter mile. The NHRA threw up their hands at this one, and classified it as a B/Fuel dragster. Restored by its present owner, but equiped to meet current safety regulations, this is more than just a "cacle-fest" demonstration car as its driver, Corey Lee, will happily tell you. Robert S. Sullivan (Bob) and Shirley K. Sullivan were a dynamic professional drag racing team out of Kansas City, Kansas - a pioneering race team. They raced and set records for 32 years between 1941-1973. 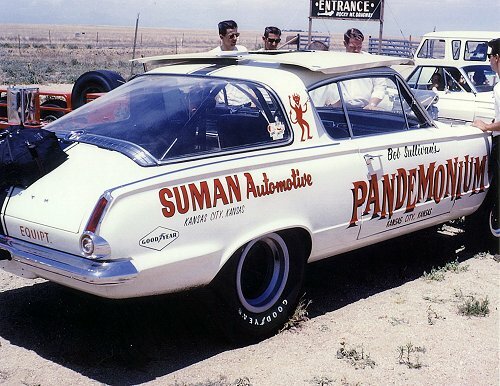 With their Pandemonium racecars they blazed a winning trail from coast to coast. Bob was the racecar driver, chief mechanic and technical expert while Shirley, his wife, was the pit crew and business manager. Bob was known advocate of safety, appearance and workmanship of their racing cars. 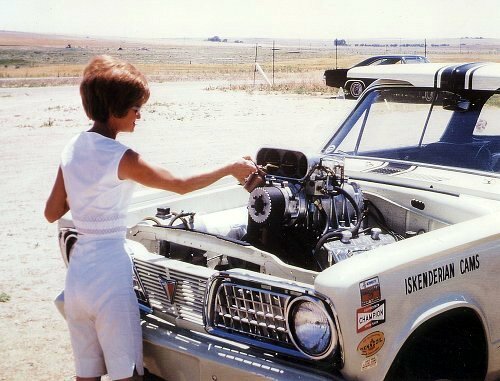 As the sole member of the pit crew, Shirley cleaned the plugs, packed the parachute, helped with refueling, staged the racecar and served as the push car driver. 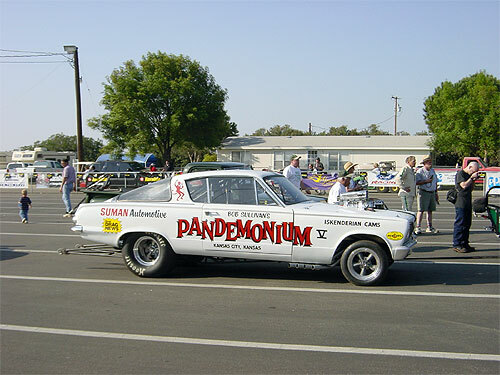 Shirley christened the racecars the "Pandemonium" and chose a humorous red devil as the logo for the Pandemonium enterprise. 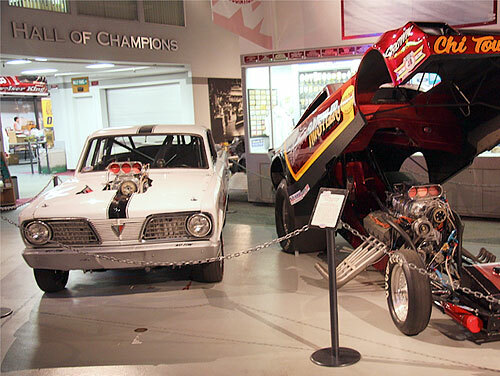 Over the years one roadster, one Rod Stuckey first concept rail dragster and nine record setting Pandemonium racecars, initiated new designs and contributed to improving mechanical and racing standards. 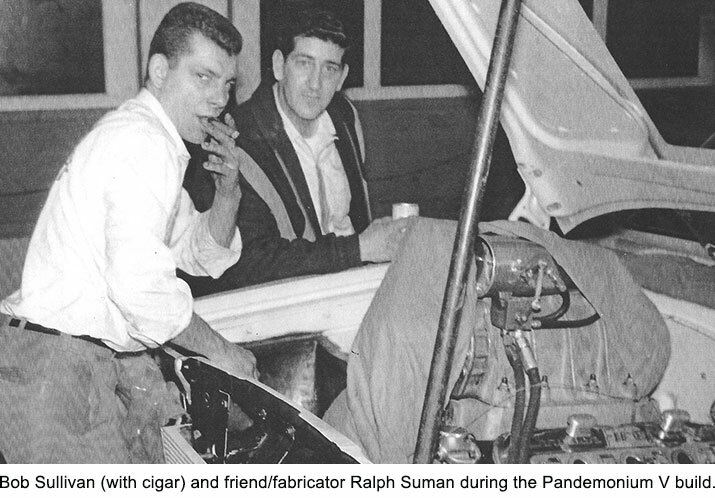 In 1941, the Sullivans began as young racers did in the early years street racing Plymouths and Oldsmobiles. In 1951, they built there first competition roadster and officially joined organized Drag Racing. In 1953 they helped form the first sanctioned Hot Rod club in Kansas City, Kansas known as "The Dragsters". In 1954, their club merged with another club to form the Kansas City Timing Association. This same year Bob and Shirley acquired their first A/Gas rail dragster. In 1955 they started building their first A/fuel all aluminum body dragster. 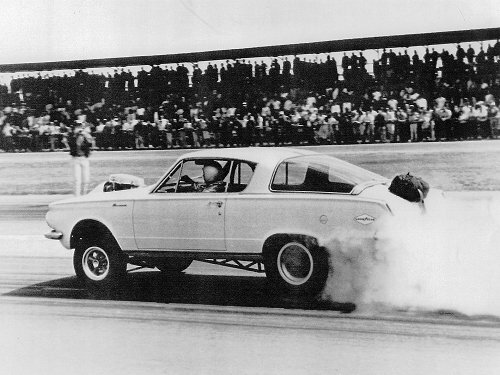 They raced A and AA/fuel dragsters for tn years (1955-1965) before inaugurating their first Funny Car in 1965. Sullivan's major wins began in 1954 when he won and set the top time for the NHRA Midwest Regional meet in Scribner, Nebraska. 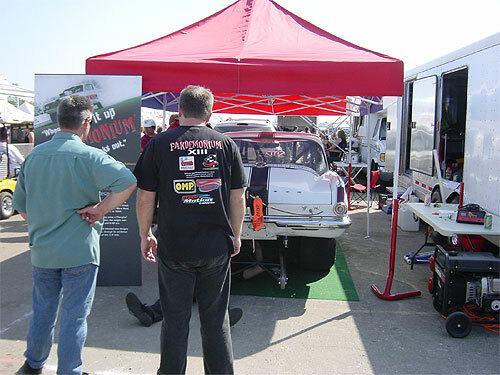 In 1959, Bob became a full time professional drag racer competing in the Drag news Invitational Tour of the U.S.
His first national AHRA competition win was in 1960 at the Summer Nationals in Kansas City, Missouri. The following year at the AHRA Summer Nationals in 1961 he set top time and low e.t. 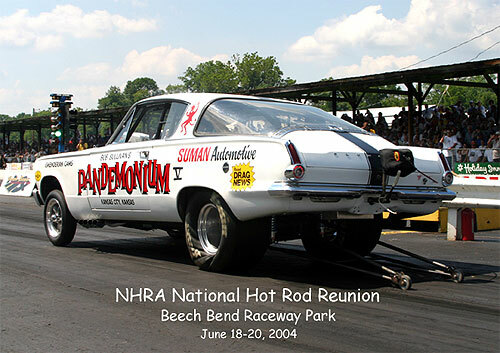 In 1963 and 1964, Bob was the first drag racer to win back to back AHRA Winter Nationals. During this period also winning three 1/8-mile championships (1961, 1963 and 1964). After winning and setting dragster records from Coast to Coast, the Sullivan's were ready for a new challenge and a new adventure with funny cars. 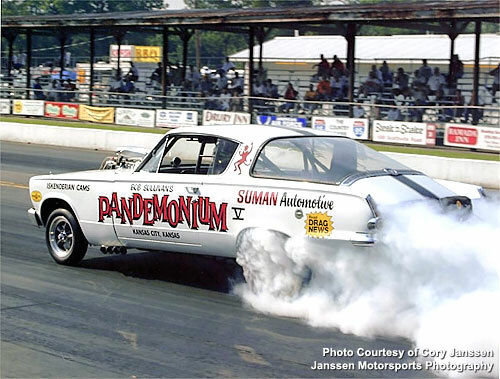 The Sullivan Race Team debuted their first funny car, which was a 1965 factory steel bodies Barracuda. 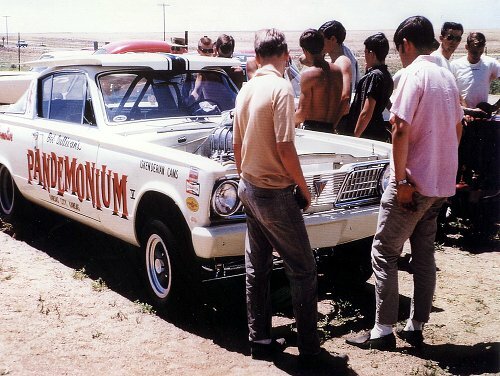 In 1967, the first funny car to run nationally over 190 mph in the 1/4 mile. Bob and Shirley Sullivan successfully campaigned five funny cars, five dragsters and one hot rod during their outstanding racing career. is currently looking for a new home. 1931 Roadster body channeled onto a 1932 frame. It had a 1950 Oldsmobile 304 cubic inch engine with a Chet Herbert cam with multiple carburetion. 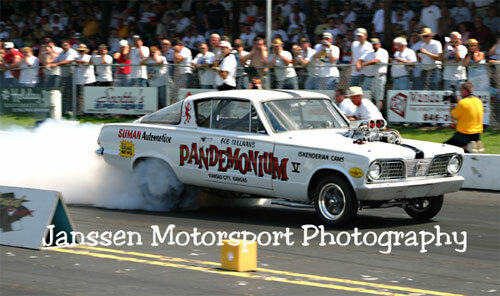 It was a consistent winner at auto shows and top eliminator at local and regional weekend drags. Average speed between 112 and 114 mph. A Rod Stuckey design - Gasoline. It was a hideous looking set of rails, powered by an Oldsmobile, and sported a flamed paint job. The racecar drug the ground for the whole 1/4 mile. In 1954, The Yellow Banana won the NHRA Midwest Regional meet in Scribner, Nebraska and set a new NHRA strip record of 123.49 mph. 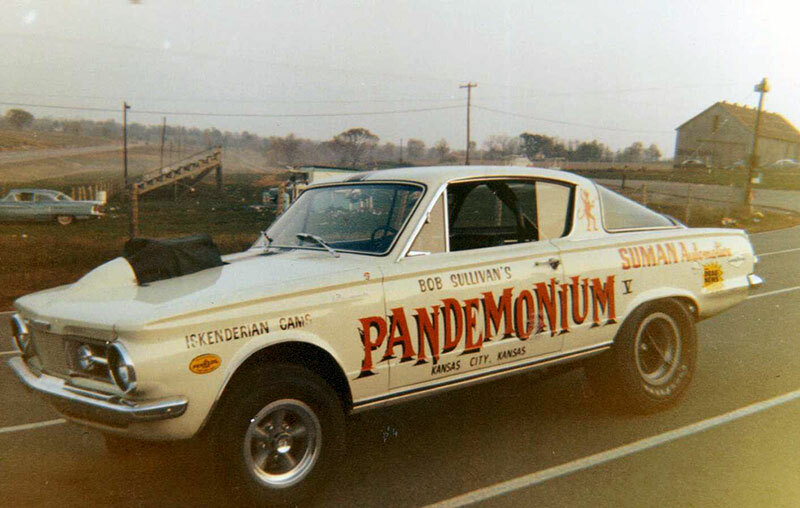 Based on the commotion created with car, Shirley named their next car "Pandemonium". This was the Sullivans first A/F dragster with a full aluminum body built in 1955 by Rod Stuckey. 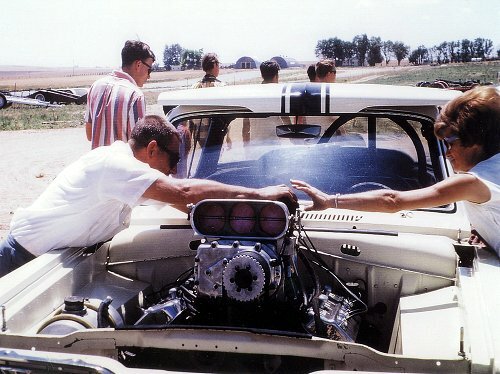 It was powered by a 331 cubic inch Chrysler engine with a Chet Herbert cam. This was the first midwestern racecar to break the coveted 150 mph in the 1/4 mile in 1956. Best record for this car was 157.08 mph set in 1957 (331 cu. in. Chrysler Hemi). A Rod Stuckey design - A/F dragster. Powered by a 392 cubic inch Chrysler Hemi, with a Chet Herbert cam. This racecar set a World Record in 1958 of 185.56 mph and a 8.390 e.t. 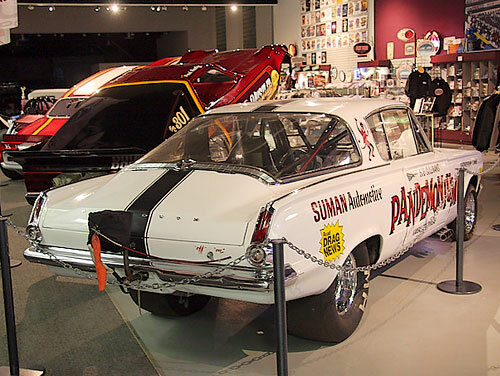 In 1959, Bob was asked to compete the Drag News Invitational Tour of the U.S. That point signaled Sullivans entry as a full-time professional drag racer. A Rod Stuckey design - AA/F dragster. Powered by a 392 cubic inch Chrysler Hemi with a Chet Herbert cam (later switched to Iskenderain cam). Won the 1960 AHRA Summer Nationals in Kansas City, Missouri. Set low e.t. and top time in 1961 at the AHRA Summer Nationals, setting an AHRA speed record of 184.04 mph and 8.21 e.t. in Green Valley, Texas. 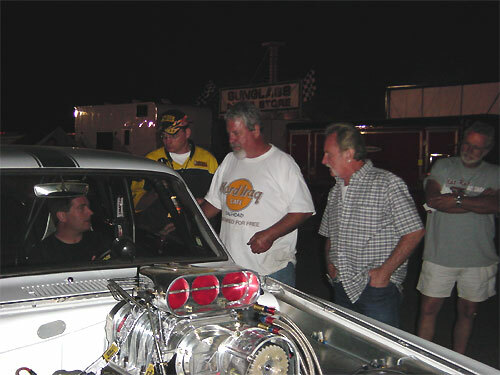 In the same year, Sullivan won the AHRA 1/8 Mile Championship. Sullivan's over all best performance with this car was a top speed of 185.60 mph and 8.10 e.t. A Rod Stuckey design - AA/F dragster. Powered by a 392 cubic inch Chrysler Hemi with an Iskenderian cam. In 1963, Sullivan set another AHRA speed record of 196.06 mph and 7.730 e.t. The same year he won the AHRA 1/8 Mile Championships. 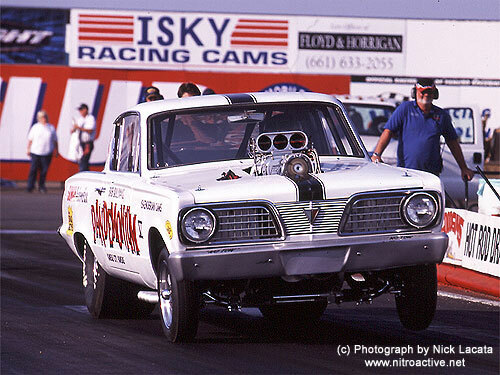 In 193 and 1964, he won back-to-back AHRA Winter Nationals in Phoenix, Arizona, setting top time and low e.t. at both meets. In 1964 he won the AHRA 1/8 Mile Championship. The best time for this car was 208 mph. In 1964. 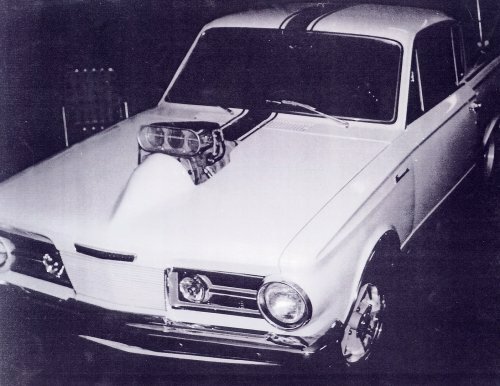 The first funny car which was an original all steel bodied 1965 Barracuda raced virtually stock weighing in at 3,700 lbs., direct drive, no transmission, powered by a Chrysler Hemi 392 cubic inch engine, speed of 160 mph and 9.78 e.t. This was an exhibition car - smoking tires the full length of the 1/4 mile. For the 1966 season, this car was lengthened 18 inches and fiberglass front end and doors were added changing the weight of the car to 3,195 lbs. with a torqueflite transmission. Best time for this car was 177 mph and 9.43 e.t. A 1967 fiberglass Camaro Roadster powered by a Chrysler Hemi 392 cubic inch engine, was the first in the funny car class to run over 190 mph in the 1/4 mile (193.12 mph in 1967). Won the 1968 Bristol Spring National Funny Car Eliminator. Best time for this car was 196.59 and 7.865 e.t. A 1968 fiberglass Barracuda powered by a Chrysler Hemi 392 cubic inch engine. This car was match raced and used for exhibition coast to coast. In 1969, Bob was runner up at the Bristol Spring Nationals. Best time for this car was 193.67 mph and 7.605 e.t. 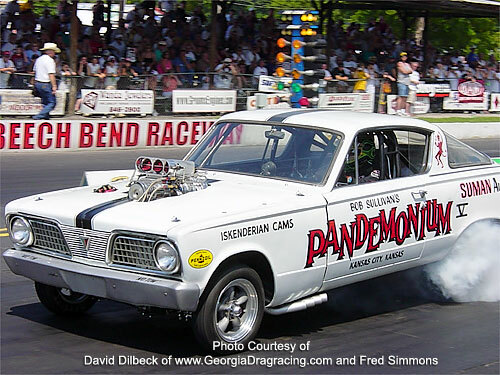 Note: Pandemonium VII has been restored and is racing again in 2000 racing season with owner/driver Ken Chase from Rochester, Minnesota. A 1970 fiberglass Challenger powered by a Chrysler Hemi 392 cubic inch engine. During the debut appearance this car experienced an engine blower failure which destroyed the body. A 1970 fiberglass Super Sport Camaro powered by a Chrysler Hemi 392 cubic inch engine. This car was matched race and used for exhibition coast to coast. Achieving a speed of 198.80 mph and a 7.25 e.t. Greg would love to hear from you to trade stories and history. He would like to hear from anyone who has, or knows of, any pictures of the Pandemonium V. Plus, Pandemonium V is currently looking for a new home. 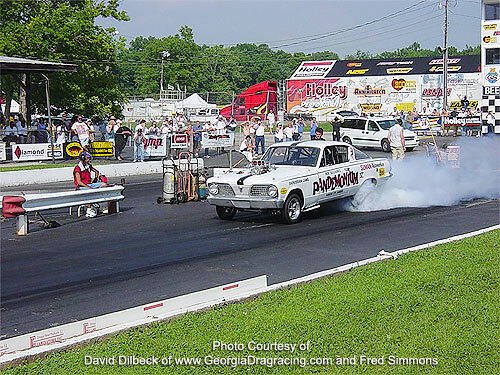 So, if your're interested in displaying this historic dragster, please call Greg at (202) 256-3190. © 2019 Greg Sullivan, Flagler Beach, FL. All Right Reserved.